So how many of us missed Cheteshwar Pujara during the IPL? Honestly, the number can't be too big. Pujara was part of the Bangalore Royal Challengers during the recently concluded fifth season of the Indian Premier League. 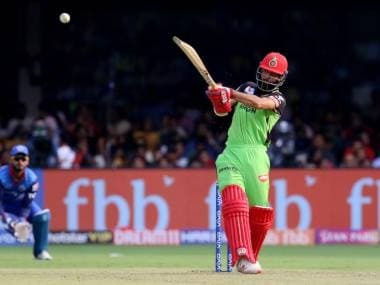 He played just three games, scored 17 runs at an average of 5.66 and managed to score a duck and hit one four and one six respectively during his brief stays in the middle. Yet, not even a murmur was raised when he was named skipper of the India ‘A.’ Almost everyone acknowledges the fact that in a world that prides itself on hitting the big shots, Pujara stands out for his ability to stay in the middle; to do the things that have gone out of fashion or are uncool. And as he led to the Indian team to an exciting win over West Indies, he must have at long last experienced the exhilaration that he felt when his 72 on debut in October 2010 against Australia led India to a famous win. Chasing 186 for victory, India ‘A’ lost wickets at regular intervals to be reduced to 95-7, with all major batsmen save Pujara back in the pavilion. But the Saurashtra batsman held his ground admirably to score 96 off 222 balls including 10 fours to guide his team to a two-wicket win. The next highest score by a regular batsman was 23 by Rohit Sharma. It’s not just the win that is important for Pujara. At an individual level, he needed a push in the right direction; he needed it to tell himself once more just how good he is; to tell himself that he is better than the rest. With Dravid’s retirement another slot has opened up in the Test team and the timing of the right-hander’s knock means that he will once again be looked at as one of the leading candidates. And at long last, it is also the start of Pujara’s march towards the light. Since he was injured in IPL 4, the batting form hasn’t quite been the same. The knee injury kept him out of competitive cricket for almost 5 months and his confidence took a big hit. During the 2011-12 Ranji season, the 24-year-old managed just 200 runs at 33.33, far below his first-class average of 54.61. During IPL 5, he was pretty much reduced to a cheer-leading role. But he showed that the time spent in the nets hasn’t gone to waste completely. Those who watched his debut Test reckoned that India’s future in the longer format would depend greatly on the young lad. The calm and poise he had showed in the fourth innings (which was on display once again in the West Indies) had a special quality to it, so much so that many Australian journalists watching that game had wondered why India hadn’t promoted Pujara earlier. 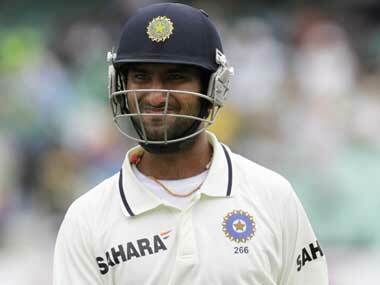 However, at that point, Pujara only managed to make it to the team because of Laxman’s back injury. And in the time that he has been away, Virat Kohli has virtually cemented his place in the Test team too. The challenge for India's selectors now is to work out how to get Pujara back into the mix. His is too great a talent to be wasted on the sidelines. Change is upon us and India’s needs Pujara to be at the front, waging war in his own unique style.